From Thursday 11 April 2019 until Sunday 28 April 2019: Enjoy 25 % off! 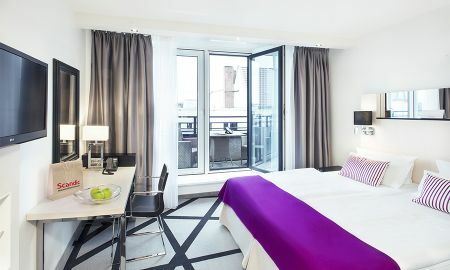 This Scandic hotel is the perfect starting point for a shopping spree on Kurfurstendamm boulevard or a visit to the zoo. Enjoy your stay in the wide range of hotel's available rooms with exclusive amenities to calm down after a day of adventures. Take a soothing bath or use the rain shower before a good night’s sleep. 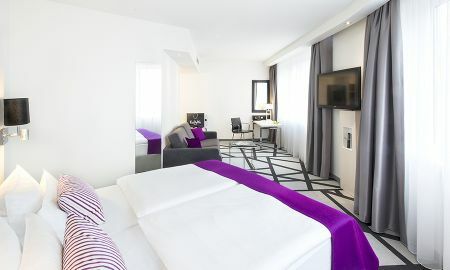 The perfect solution for travelers who place special value on good quality facilities. Just a few steps down from the lobby area you'll find the restaurant. The delicious breakfast buffet containing healthy choices, Fair trade coffee and local products are served here every morning. Next to the restaurant is the conservatory and courtyard terrace where you´re welcome to enjoy you coffee outside during the summer and in the winter you can find a cosy place next to the fireplace in one of the breakfast rooms. Don't skip training! Sure, the beds are comfortable, but a workout spikes up too. You can work out in the gym. If you prefer birdsong borrow walking poles or bicycles from reception. 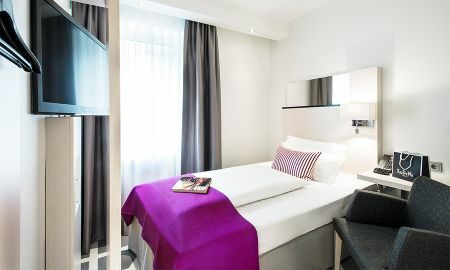 From the hotel, you can take a leisurely walk to the numerous shops and cafés on Kurfurstendamm boulevard, as well as to the department store KaDeWe, with its famous food hall. You can get design and lifestyle products in the Bikini Berlin concept shopping centre. A visit to The Story of Berlin interactive museum and the historic Kaiser Wilhelm Memorial Church are an absolute must for your itinerary. Or have a great family day out at the Berlin Zoological Garden and the Aquarium Berlin! 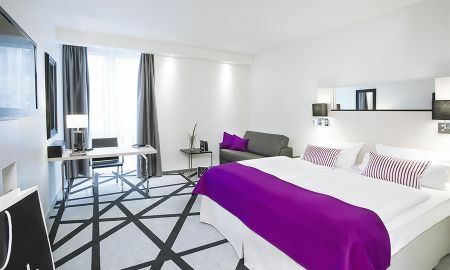 If you're on business in Berlin, you can reach the Berlin ExpoCenter City exhibition centre very easily from the hotel. You can reach the CityCube in 15 minutes by taxi, and in 20 minutes with the underground.